2018 was a transformative year for the Indian enterprises in more ways than one. Data was at the centre of our critical business and technology discussions. Digital businesses mandated new ways of utilizing data and redefining customer experiences. We also witnessed relevant conversations and developments in essential areas such as data protection, security and analytics. As we step into 2019, forecasts and market trends assure us an even more positive and upward path. India’s IT spending is projected to grow at a healthy 6.7 percent from last year, driven predominantly by digital business transformation initiatives, Gartner forecasts. That’s more than double the predicted growth of the global IT spend. Harnessing the power of data, to achieve better business results, will continue to be the top priority for organizations across industries. More than 80 percent of organizations today have a multi-cloud environment, making it a clear reality. A multi-cloud strategy is inevitable to optimize performance and meet the changing business objectives. Nevertheless, experts point out that cloud data management and data protection have to be part of the strategy to generate actual results. Imagine IT professionals opening up a backup product, logging into a cloud, performing a task, logging out and then repeating the process in another cloud with a separate recovery tool! The ability to support multiple clouds will greatly influence organization’s data protection buying decisions. Businesses will look for solutions with a single pane of glass to move, manage and use data across clouds and on-premises environment. It will be interesting to see how vendors that still offer only single cloud support survive in the market in 2019. There are platforms in the market that already support as much as 40 cloud storage options. Players who don’t follow the suit may eventually be left out! Analytics will offer a completely new way to interact with data in plain language, with the help of natural language processing (NLP) and deep learning. Information will no longer be ‘locked down’ and made accessible only to a few experts or data scientists. This means that a sales person can simply type “what were my sales last month?” and get useful and actionable insights! In fact, 2019 will see more and more businesses wanting their employees to use analytics. As a result, analytics solutions will become more intuitive, easy to use, and bring in powerful, deep analytical capabilities to the end users. 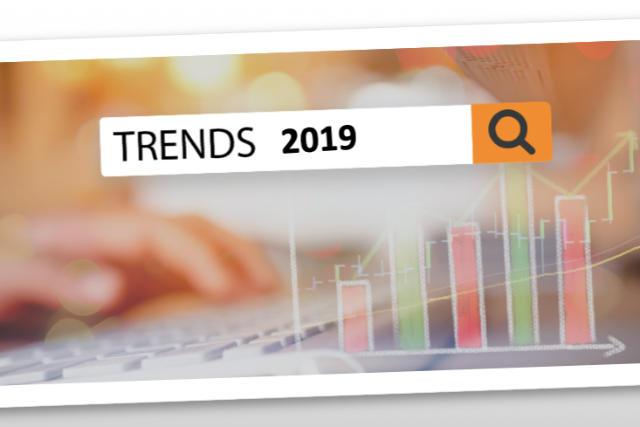 2019 is expected to be a landmark year for analytics as the analytics output of business users with self-service capabilities is predicted to surpass that of professional data scientists this year. Self-service tools will take up a major share of the $2.03 billion analytics market in India in the next one year. AI and machine learning projects will finally move out of innovation labs and data science departments, to access business relevant data. AI is predicted to enhance the entire data life cycle –right from data discovery, backup, restore and analysis--by automating time consuming manual processes. AI is predicted to enable ‘content-aware discovery’ and analysis of critical content across data sources, whether on-premises or in the cloud or across various endpoints. Though AI has risen to power in the last one year, there were plenty of limitations for companies in executing end-to-end AI or ML projects. They have been restricting these projects to a subset or sample data, which drastically limited the possibilities of the technology. Not just that, moving huge amounts of data to the AI/ML platform introduced great security risks. 2019 will bring new developments that eliminate these restrictions and unlock the true potential of AI.